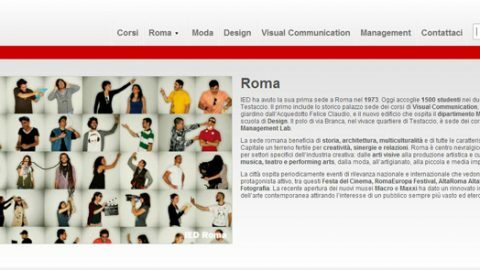 For the seventh consecutive year, Gianluca Del Gobbo is a professor of Adobe Flash at IED – Istituto Europeo di Design in Rome. His lectures began in 2002 with the prestigious Master in Web Design & Strategy, and continuing in 2006 under the School of Graphic Design for three years. The course aims to train a graphics professional able to act in the following areas: the design of the visual identity of a company or product, the creation of packaging, graphic conception of communication media on and off-farm line.